By default, a new drill is created when you open 3D. 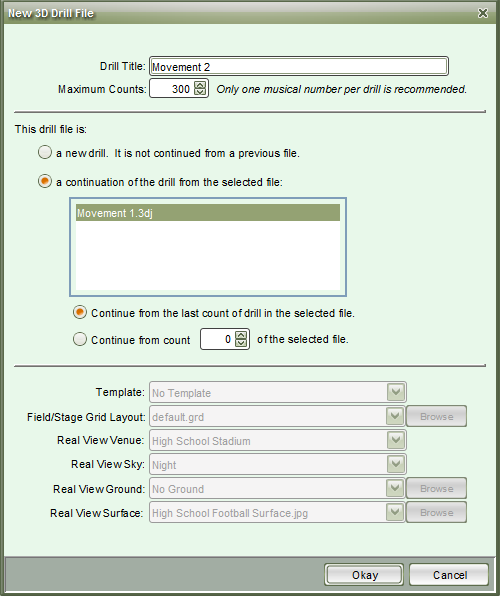 This is a blank drill file with 300 counts and default field layout settings. Counts can be added or subtracted to a drill file with the Count Editor, found in the Utilities menu. Field layout settings, such as grid size, shape, division lines, and markers can be edited with the Grid Designer in the Utilities menu.